Nov 18th – Boys & Girls Club – Members of our chapter are asked to help volunteer at The Blessed Dinner — serving a Thanksgiving feast to 450 children at the Boys and Girls Club on Wednesday, Nov 18th. The address of the event is 5055 Raleigh Street, Orlando, FL 32811. Volunteers should arrive at 4:30 pm (in chef whites) and the event starts at 5:30. Please come help feed the children! Dec 13th – Chapter Christmas Party @ Red Coconut, CityWalk – Invitation, details and RSVP instructions coming soon, until then…save the date! Dec 17th – Give Kids the World Dinner Service Please NOTE: This is a revised date for this event. Make sure your calendar has this event now on Dec 17th. Jan 24th – 2016 Annual President’s Awards Gala Dinner @ The Ritz Carlton – Invitation, details and RSVP instructions will be announced soon. Feb 1st – First general chapter meeting event of 2016. Location and topic to be announced soon. This meeting will also include the first new member induction ceremony of the year. Voting will take place in December for the following elected positions: President, Vice President, Secretary, Treasurer, and Sergeant at Arms. Current nominees will share their messages with you in an upcoming email series later this week. VERY IMPORTANT: Ballots will be sent to the email address you have on file with the ACF National Office. That may be a different email than the one we use to send you email newsletters. Please verify and/or update your email address with the national office before Nov 30th in order to receive an election ballot. But nominations are still open until Monday, November 30th, 2015 at 5 PM. To nominate a fellow member for one of the elected positions, please click this link to download the Nomination Form. Nominees MUST have been an ACF/CFC member in good standing for a minimum of one full year. Please help us congratulate two of our members… Chef Kathleen Vossenberg, M.Ed., CCC, CCE, CHEP! 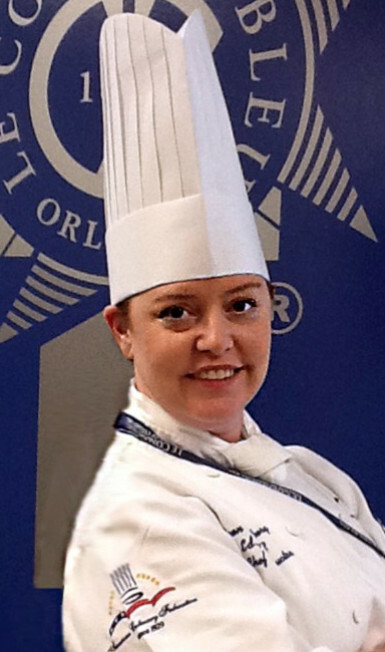 She will be representing our chapter as a semi-finalist for the 2016 ACF Southeast Region Chef Educator of the Year. And Scarlet Barrington! 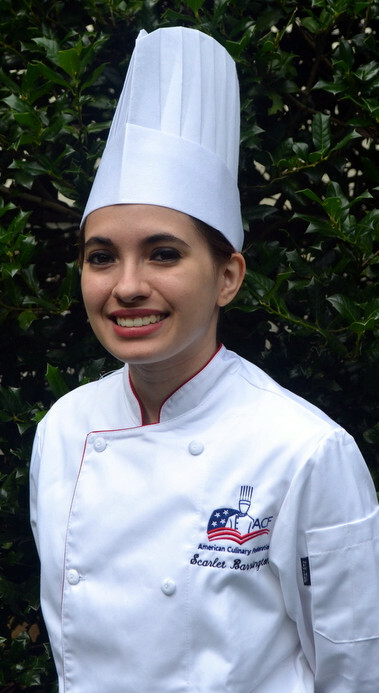 She will be representing the ACF Central Florida Chapter as a semi-finalist for the 2016 ACF Southeast Region Student Chef of the Year. Congratulations to you both, and good luck in Atlanta. We will be there to cheer you on! We look forward to seeing you at the holiday events! !